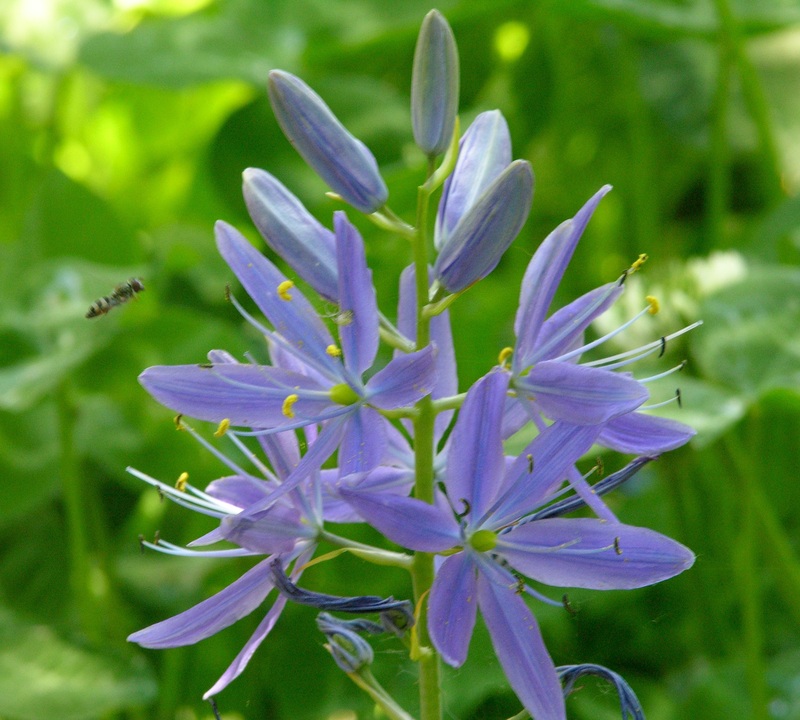 A beautiful perennial with star-like, slender petaled blossoms of creamy blue or white. 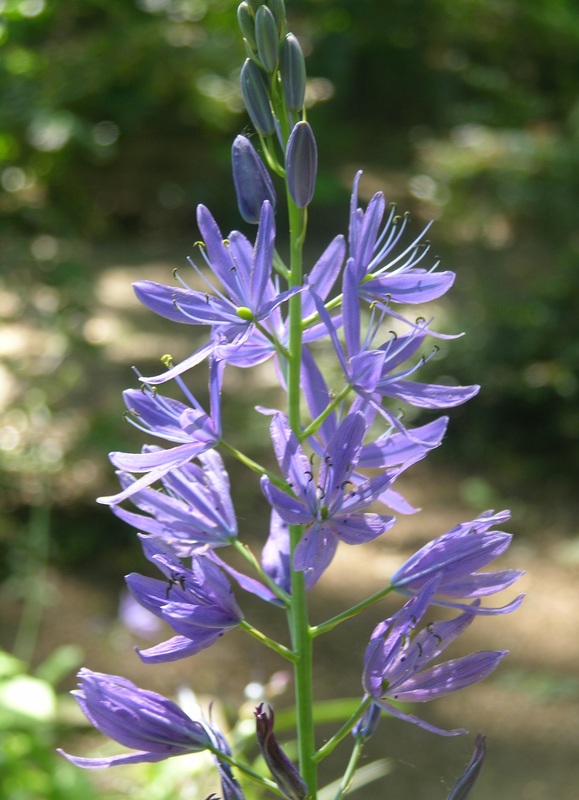 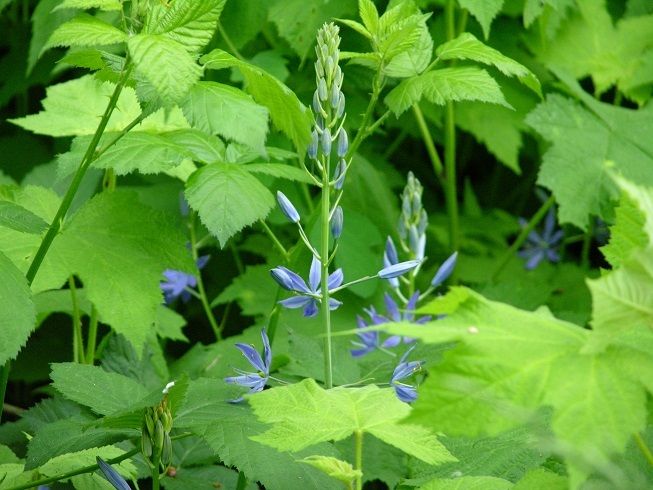 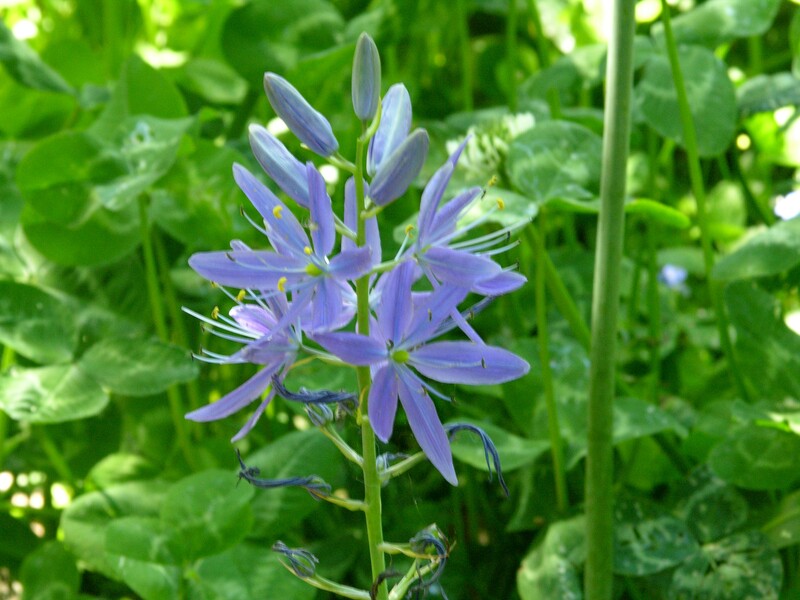 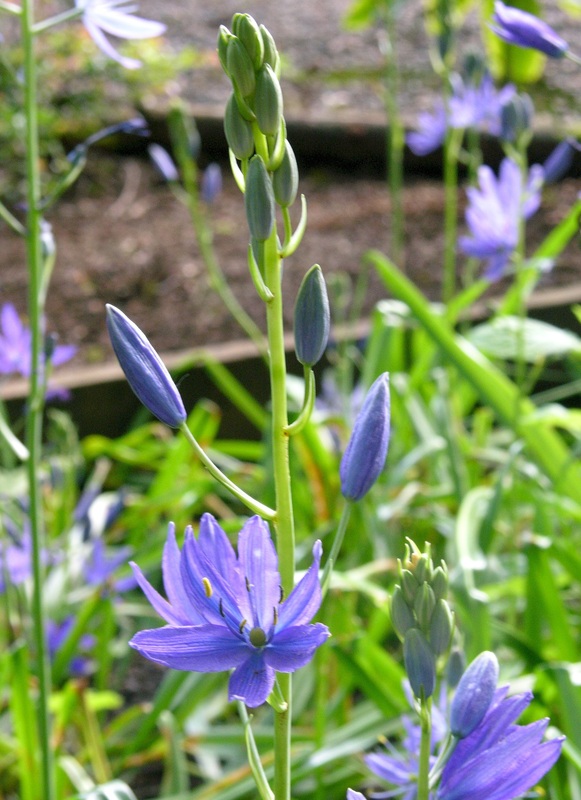 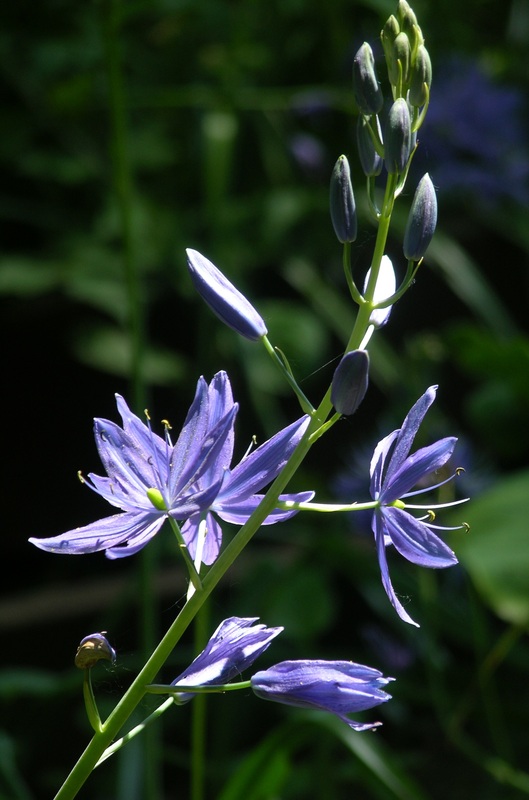 The handsome clusters of flowers form on tall, 2-4' spikes in late spring, about three weeks after Common Camas. 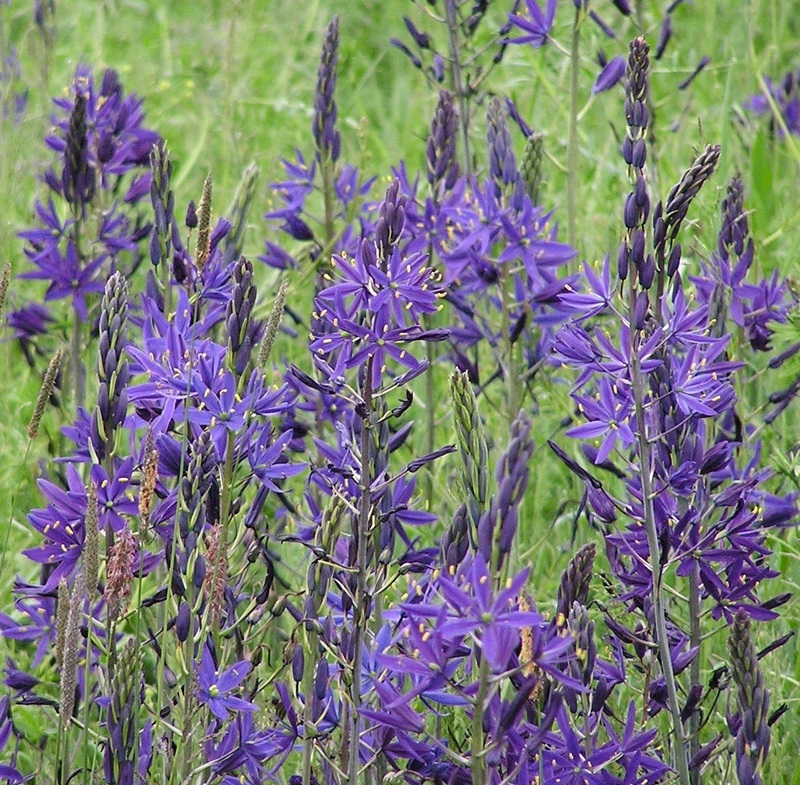 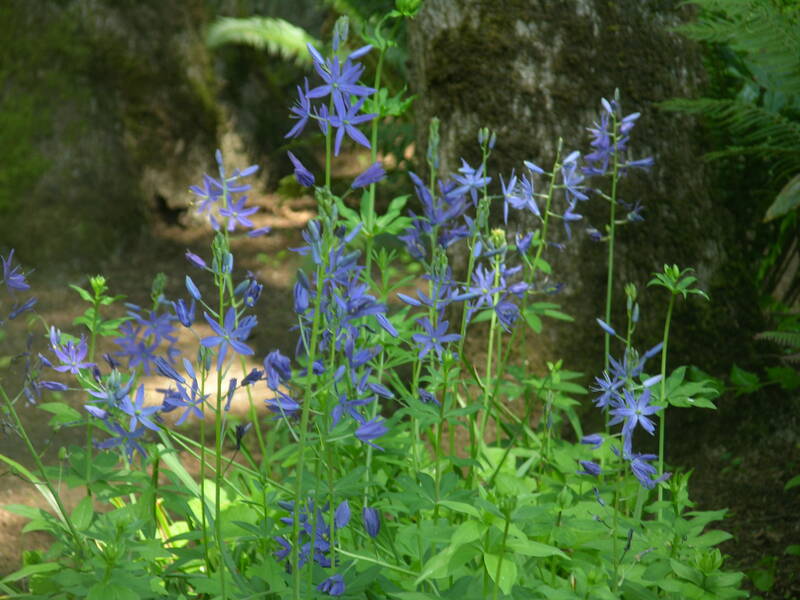 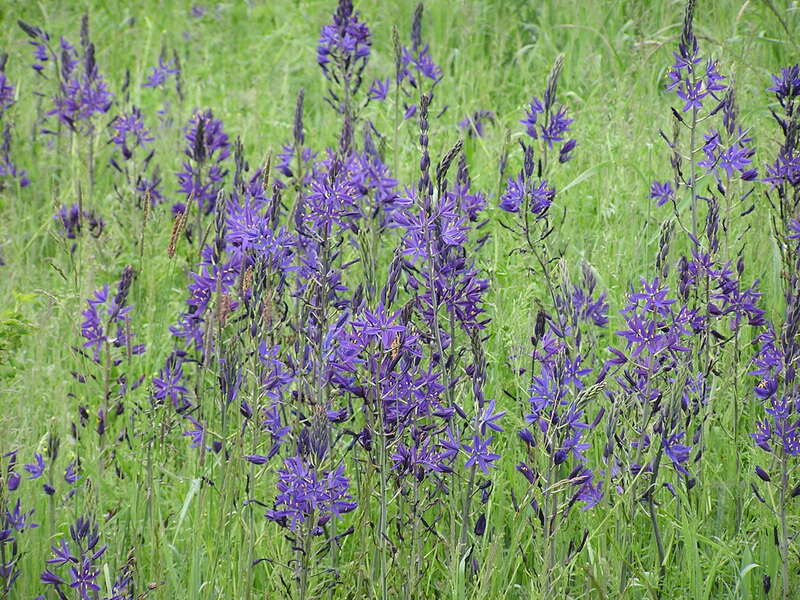 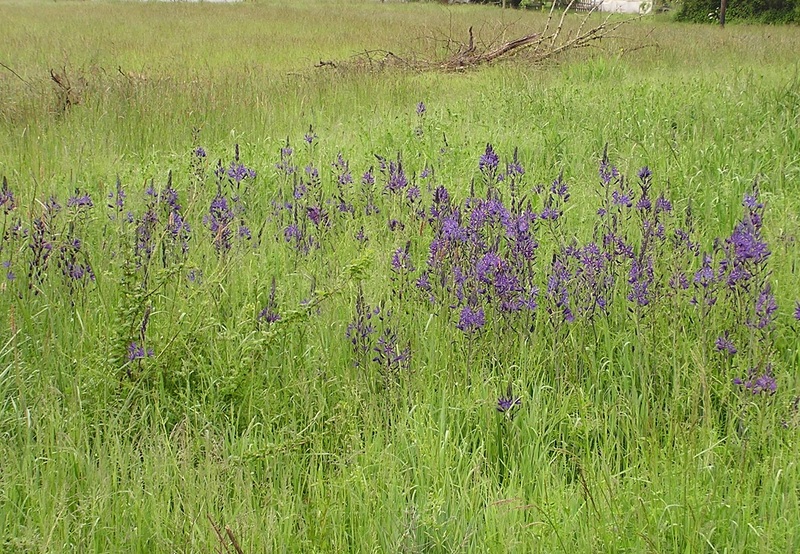 Greater Camas is found only on the west side of the Cascades and is hardy from USDA zones 6-10. 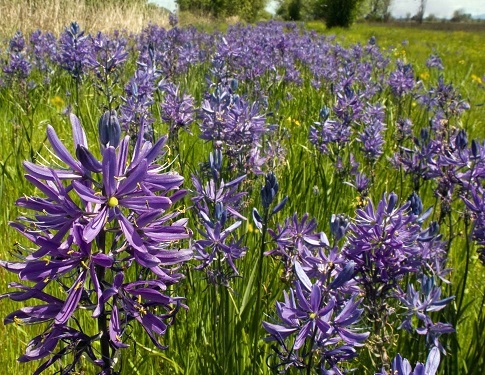 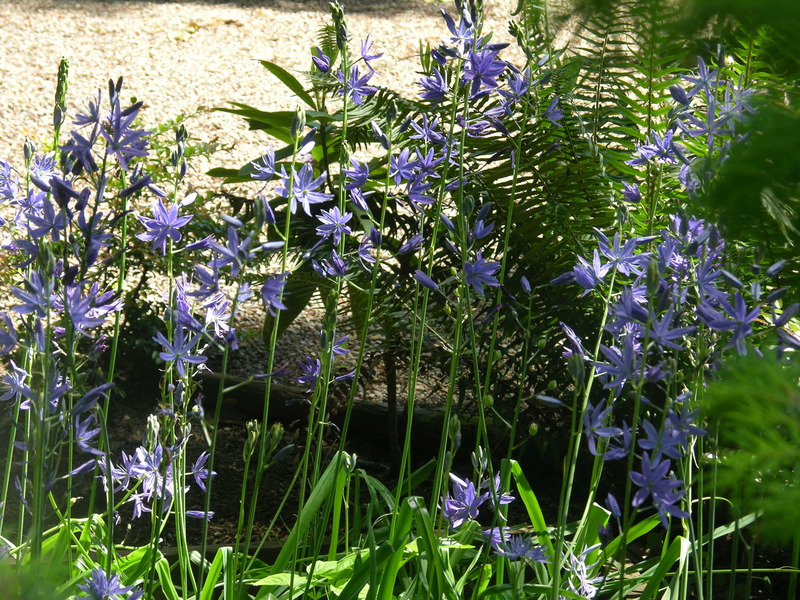 Camas will do well in sun or filtered shade and succeeds in heavy soils. 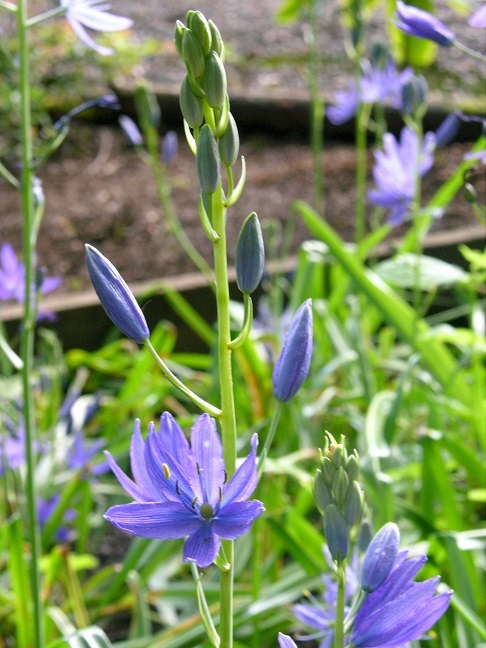 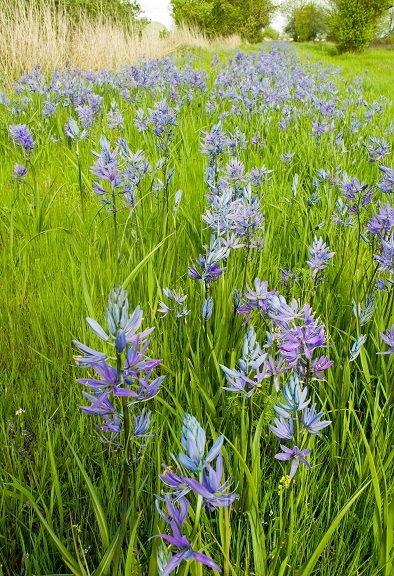 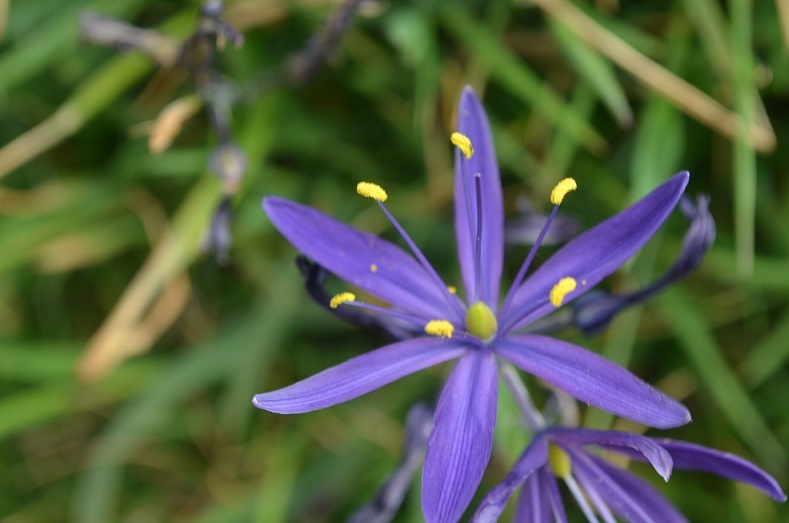 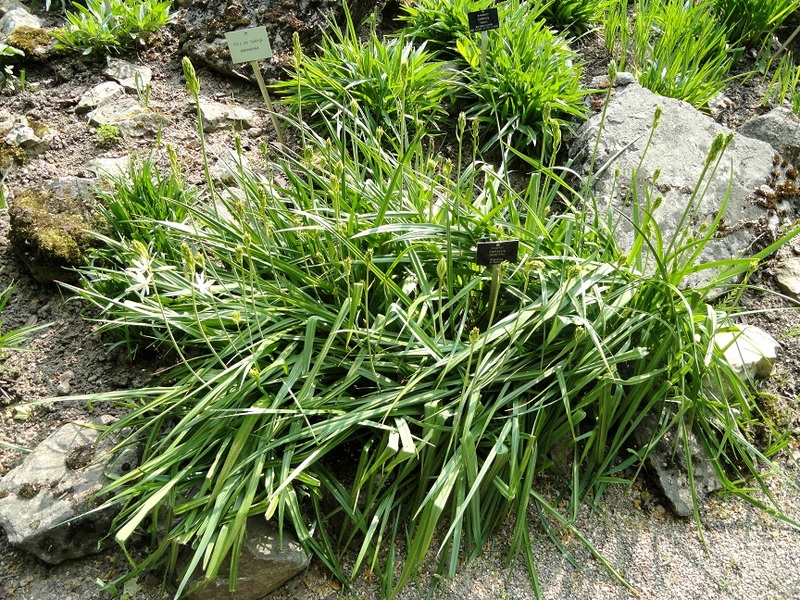 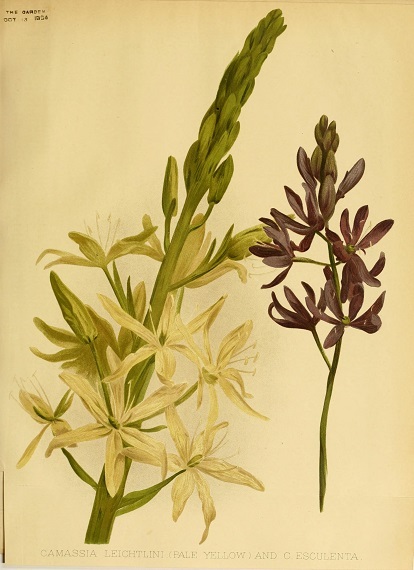 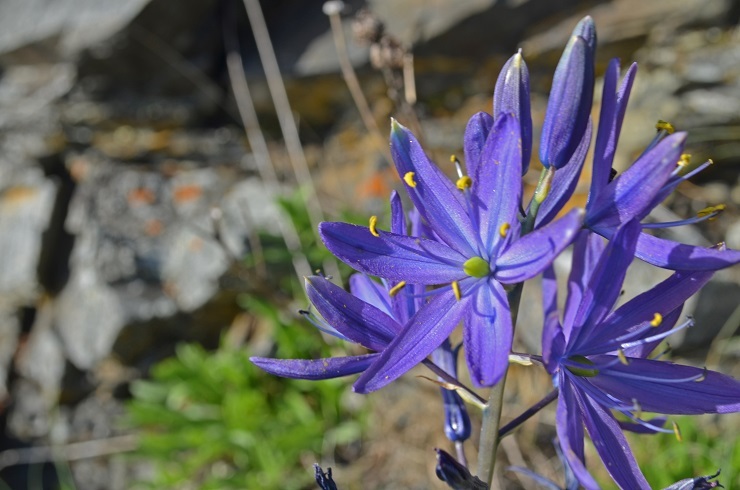 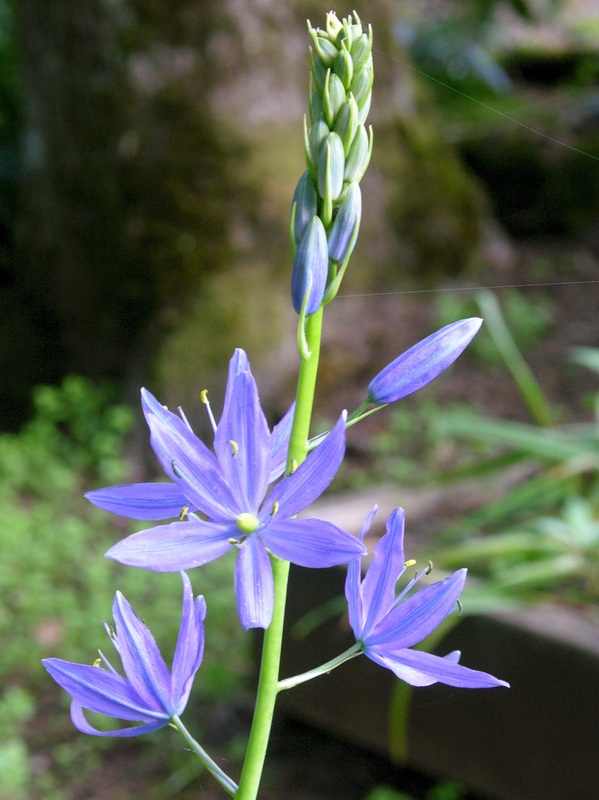 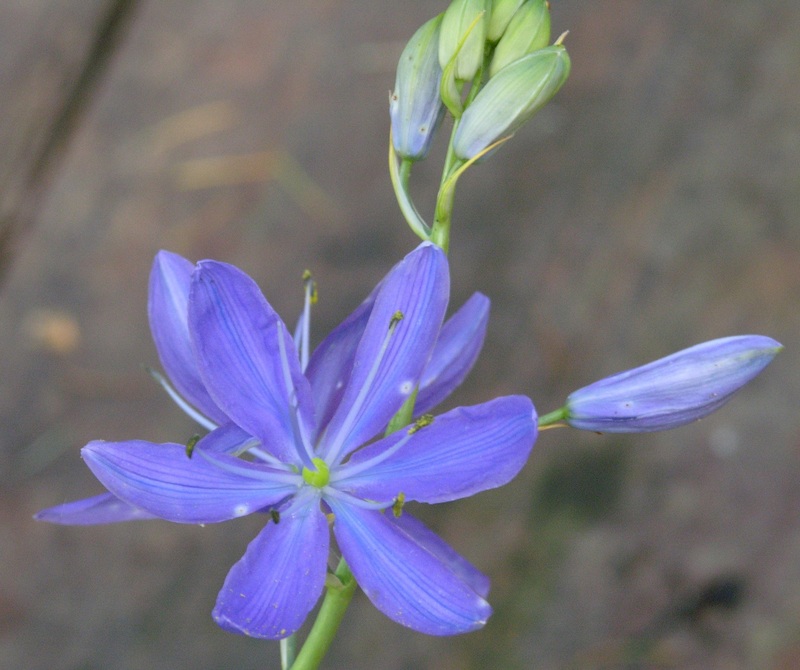 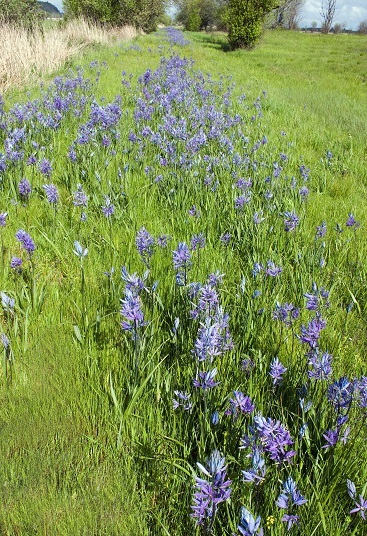 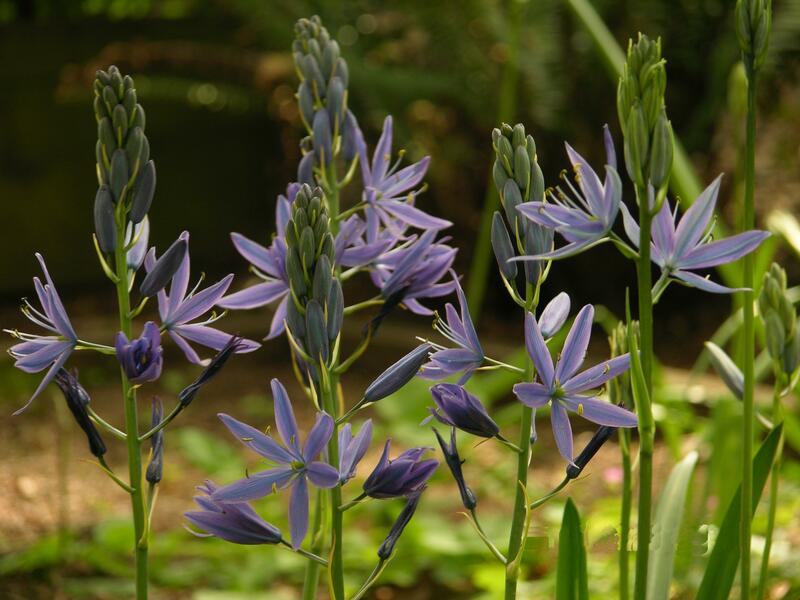 A true meadow plant, this Camas likes moisture in the winter and spring followed by a dry period in the summer.